The tenets of friendship are pretty basic: Be down for any and all Netflix sessions, watch her cat when she’s out of town, and always show up for workout-buddy duties. But when a friend is suffering from a chronic illness, things can suddenly feel a whole lot more complicated. What physical limitations are involved? How do you support her emotionally? And most pressing, what exactly do you say? This applies to everything from ongoing health issues to more serious illnesses, like multiple sclerosis (MS). Considering that MS affects about 400,000 people in the US—with women three times as likely as men to be affected—you may know a friend in this group. And most of those with MS are diagnosed between ages 20 and 40. As a friend, the first step is making sure they are getting the support they need—and MS One to One® is one way to do that. Through the program, nurses are available by phone 24/7 to talk to anyone affected by MS and answer questions. Plus, you can browse through the website for additional tips, tools, and apps to help manage living with MS. But beyond that, how do you make sure your BFF is feeling supported? To find out, we talked to Amy Kurtz, a certified health and wellness coach and author of Kicking Sick. No stranger to what it feels like to struggle with your health (she’s suffered from a thyroid disorder, celiac disease, and a severe gastric disorder), Kurtz has firsthand experience—and she’s here to share. 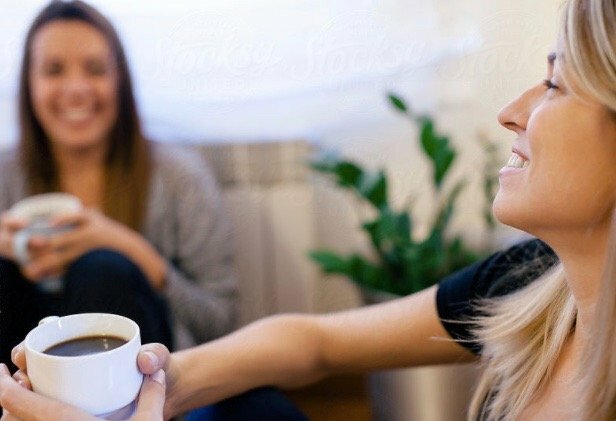 Read on for three ways you can be an awesome friend to someone living with a chronic health issue—including exactly what to say. The most important thing, Kurtz says, is to be honest—which goes both ways. So when a friend is open about her limitations, show her that you’re listening. For someone who’s sick, doctors and diagnoses can feel like all they ever talk about, Kurtz says. The answer? Act as a positive outlet and bring up your common interests to remind them that you know they’re more than their illness. Lastly, to be succinct: Show up. Kurtz says there’s always a creative way to make plans around what your friend can do—which is extra important for someone with MS, who can benefit from support with every day tasks like staying active or preparing a meal. Do you know someone who could benefit from MS One to One®? Learn more about the support program aimed at empowering anyone living with relapsing MS at msonetoone.com, or call (855) 676-6326 to speak to a nurse.